(3) to be a point of community coordinating and logistics for volunteers and resources relative to warming centers. Thank you for your interest in collaborating to strengthen the capacity of Milwaukee Warming Centers/Rooms and to possibly grow the number as well. On the 19th, we had a telephone conference to identify interested people, to gather an understanding of the current reality in the city, and to strategize around ways to raise awareness and strengthen this resource. I was on our first call along with Ptosha Davis (Greater New Birth, the Lauren Group), Terri Ellzey (Milwaukee County Community Intervention Specialist), and Sandra Melcher (Alpha Kappa Alpha Sorority, Inc. Upsilon Mu Omega Chapter). In addition, we got subsequent input from Holly Anderle (First Baptist Church Racine), Janice Brazil Cummings (AME Church), Liz Marquardt (Sojourner), Martha Pincus, Brenda Wesley (NAMI), and Kenyatta Yamel (First Unitarian Society). Current Reality. Gather data on the current state of warming centers/rooms in Milwaukee including data on (time and locations, daytime vs. overnight, and gender, age and other limitations). Terri Ellzey and Sandra Melcher did the preliminary research and that document is attached. Stories/Testimonies about Starting a Warming Center. Ptosha Davis of Greater New Birth and Pastor Holly Anderle of First Baptist Church Racine have agreed to share their experiences with starting a warming center/room. Ptosha and Holly, let me know how to effectively do this. Ptosha noted, in particular, the training that was necessary and the need to refer people to additional resources. “Coordinated Consortium”. We talked about to mobilize a “consortium” of churches and members to assist in this effort. The effort is not limited to opening of new capacity but also growing a list of volunteers to strengthen current efforts. We have not yet developed a plan around this. Once we follow up on this, I will send our information through our mental health ministry network. If you are interested in this particular component, please let me know. I am going to email this, post it to FB, twitter and my webpage/blog (wjlanier.com) My preference (to effectively capture the dialogue) is that you email me back with your thoughts or post comments to the blog. 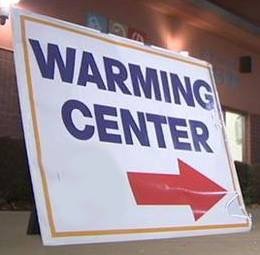 Lastly, I am copying below a post that was on Facebook from the Northside Warming Station; they are seeking assistance. Food, Drinks And Snacks Will Be Provided, Wifi And Cable Is Also Available. Lets Give Back Together. Call 414-334-4093 For More Information. I’m glad you are doing this. It’s needed. Even though there are existing warming rooms, they are often too far away, too hard to get to. The Continuum of Care has done at least one training session on setting up warming rooms and has resources/information to share. They might have resources to help you. Thanks for tackling this need. Thanks Jan. Appreciate any additional ideas you have. I am going to meet with people from the social concerns committee of the First Unitarian society tomorrow to see what we can do. I called the northside center which said that their people transitioned to room and board living this week. Ptosha Davis sounds like she would be a good resource. Thanks Kenyatta. Let me know what I can do to be a help. Will update you and the blog.